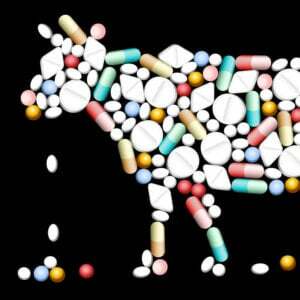 The Nigerian Academy of Science (NAS) declared this week that genetically-modified foods are safe for consumption. The NAS, citing overwhelming evidence from developed countries and thousands of studies, said the country was ready for the products and that they were safe for production and beneficial to the nation. Nigeria is now poised to join Egypt, Burkina Faso, South Africa and Sudan as the only nations in Africa to cultivate genetically engineered crops. 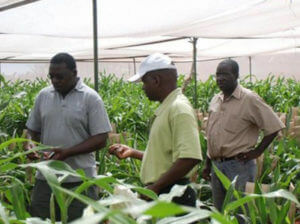 Although no GE crops are presently being grown commercially, the government has sanctioned several trials, which if successful could result in the greenlighting of insect-resistant Bt cotton, cowpea (a legume) and corn; disease resistant and Vitamin A cassava; and nitrogen and water efficient rice. If the rollout schedule goes as planned, Nigeria could open the door to a fresh wave of crop biotechnology introductions throughout the continent. To date, anti-GMO non-governmental organizations (NGOs) linked to activist groups in Europe and the United States have successfully mustered scare campaigns, deterring many governments from introducing GE crops, including numerous disease and insect resistant varieties. The passage of the Biosafety Bill was not without controversy as there was and is opposition within Nigeria to GE crops. In March 2016, some 100 groups representing about five million people, including farmers, faith-based organizations, civil society groups’, students and local community groups, wrote a letter to biosafety regulators objecting to Monsanto’s attempts to introduce GM cotton and corn into Nigeria. They cited numerous health and environmental concerns as their reason for their opposition. In a letter written to the Vice President on May 5, 2016 a coalition of civil society groups led by Jackie Ikeotuonye, the Executive Director of the Initiative for Peace, Empowerment and Tolerance, said the National Biosafety Management Agency was jeopardizing the health of Nigerians and mortgaging the country’s future by ignoring concerns about GMOs. It should be noted that there is no scientific evidence to support any of these claims or any notion that GMOs are dangerous to human health or the environment. 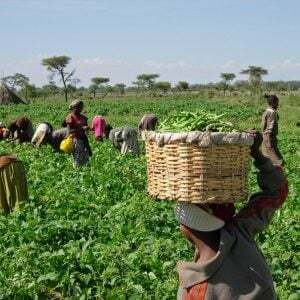 In its most recent report on GMOs, the US National Academy of Sciences cited this week by its Nigerian counterpart, once again reiterated that they were safe for human consumption and posed no hazards that are not also present in conventional or organic agriculture. The International Society of African Scientists has also publicly said that GMOs are safe for human consumption and support their use. Our duties as an agency…is to provide assurance of regulated use of modern biotechnology for increased productivity in the agricultural sector that would lead to improved socio-economic development of Nigerian farmers and enhanced national economic prosperity. We serve as a safety gauge for the deployment of genetic technology in the country. It is our responsibility to ensure that the application of the technology does not in any way affect human beings or the environment…With the technology, scientists can undertake the development of plants or organisms that can reduce the impact of climate change and serve in pollution remediation and improve the health sector using various plants that abound in the country. It can also enhance our food quality and make farmers get rewards for their hard work as they will have access to quality seeds…We are not promoters of biotechnology, but regulators to ensure that it use does not in any way jeopardize the health of Nigerians or the environment. GM technology is one means of bolstering the agriculture sector and thus diversifying an economy that has become overly dependent on the oil and gas sector. According to the IMF, the energy sector accounted for 91.9 percent of exports and was responsible for generating 46.6 percent of government revenue in 2015. As a result, the decline in oil prices has had a very detrimental impact on the economy. After expanding by 2.7 percent in 2015, the IMF is forecasting the economy fell by 1.7 percent this year and will grow by just 0.7 percent in 2017. 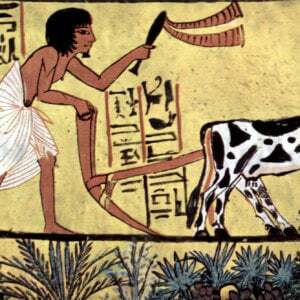 Before the development of its oil resources, Nigeria was a major food producer and exporter. 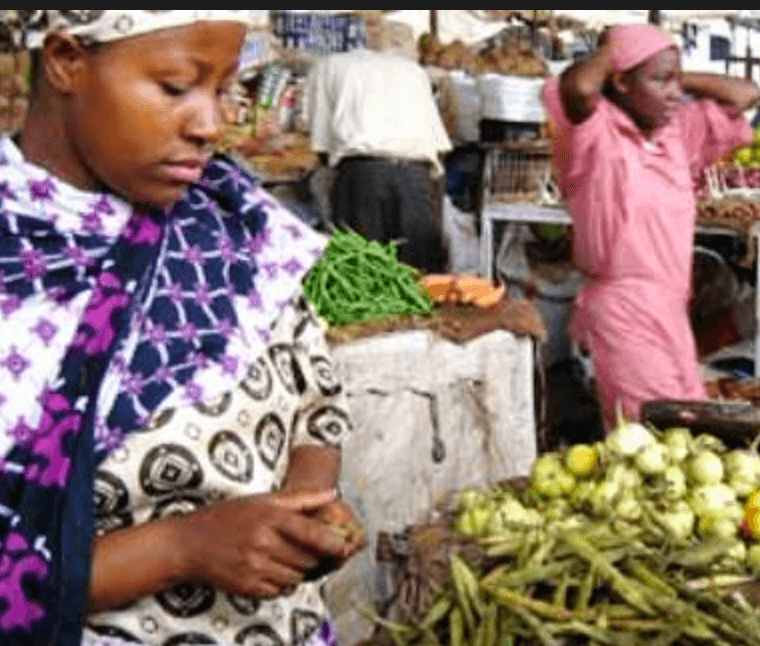 Agricultural products accounted for 70 percent of exports and were responsible for providing 95 percent of the domestic food requirement, and agricultural export taxes were the largest source of government revenue. 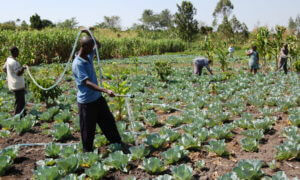 However, farming was neglected as Nigeria emerged as a major oil producer and exporter. As a result, the country is now heavily dependent on food imports to feed its growing population. Imports of rice (Nigeria is the second largest importer of rice after China), wheat, sugar, and fish, for example, total about $3.18 billion a year. GM cotton could revive the textile and clothing sectors, which have been hampered by declining cotton production and a surge in clothing imports from China. In 2015, cotton output was 250,000 bales. This was well below the recent peak production of 459,000 bales in 1995. 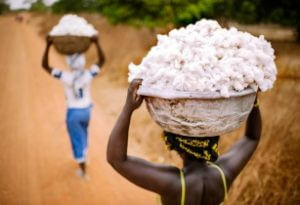 The Nigerian Textile Manufacturers Association has come out strongly in favor of the adoption of Bt cotton. Its Director-General, Hamma Kwajaffa, believes Bt cotton is “capable of repositioning the morbid textile industry.” He also said it would improve cotton lint quality and farmers would benefit from increased yields due to reduced insect-pest damage. GE technology could also be deployed to protect the cassava crop from disease and increase its nutritional content. This is especially important as cassava is a major crop. Nigeria is the largest producer of cassava in the world, producing about 45 metric tons a year. 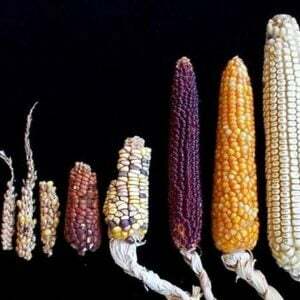 It is grown by over 4.5 million people and is a major food crop, accounting for 9.7 percent of total caloric intake. This is the third largest source of calories after yams and rice and corn, which are tied for second place. 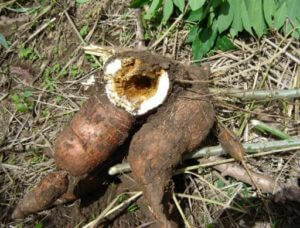 However, the cassava crop is threatened by brown streak virus, which could severely reduce production if not contained. Scientists at Nigeria’s Institute of Tropical Agriculture are working on biotechnology solutions to combat the virus. It is also working to make cassava pest and drought resistant, reduce its cyanide content and fortify its nutritional content. With the largest population and economy in Africa, Nigeria’s embrace of GMOs could be a game-changer in spreading African acceptance of the technology. “If Nigeria gets it right, it will guide other African nations,” said Amina Mohammed, the Minister of the Environment. Even if anti-GMO NGOs are successful in scaring other African nations from adopting biotechnology Nigeria’s new generation of innovative crops will find their way across the continent. The country has very porous borders, and smuggling is rampant. As a result, GE seeds sanctioned for use in Nigeria are likely to be smuggled into neighboring countries, none of which has authorized their use for commercial production. 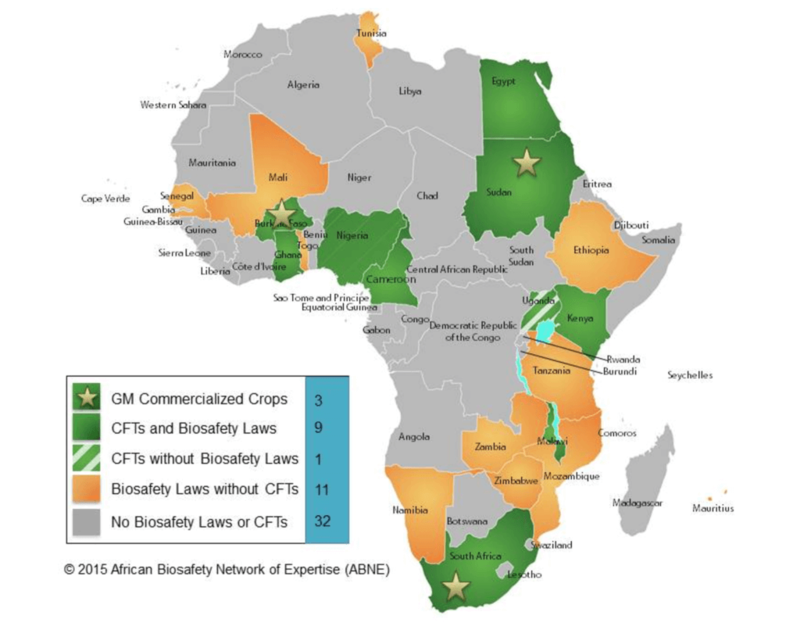 This might prompt these nations to reconsider their bans on growing GMO crops and eventually lead to broad acceptance throughout the continent. Steven E. Cerier is an international economist and frequent contributor to the Genetic Literacy Project.